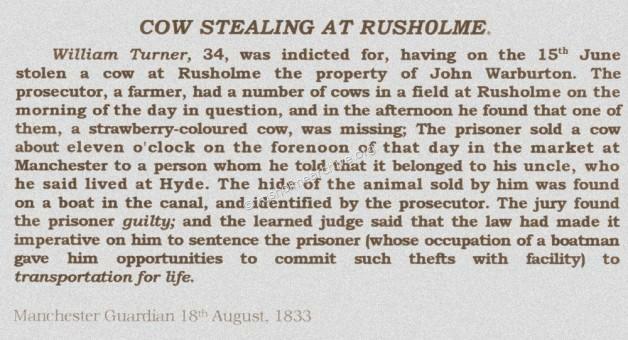 Mr Robert Bowker, Constable, Rushulme is well documented in various records at the Lancashire Country Records Office. There are a number of mentions for expenses incurred by Constable Bowker regarding the cost of taking prisoners to courts. 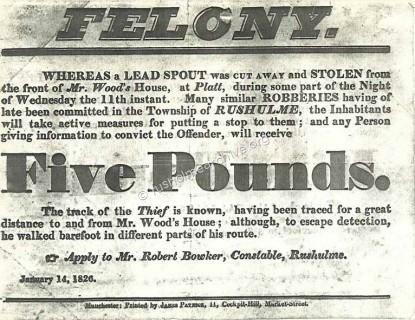 Who employed and paid him is unclear but effective policing started in 1839 when Lancashire magistrates decided that they needed an efficient Police Force of at least 500 constables. This had been prompted by the Home Secretary, Lord Russell and accordingly an Act was passed 27th August 1839 for the establishment of the Lancashire Police Force. Remember that Rusholme was then a township in Lancashire so the County Police Force had a Manchester Division that covered those areas outside of the Manchester Borough Police Force, such as Moss Side, Levenshulme & Rusholme. In 1885 Rusholme was absorbed by Manchester and then the Manchester Borough Police Force became responsible for law and order. Sergeant Edward Pye & his Biography! Sergeant Edward Pye had this Carte de Visite photograph taken by William Roberts. William Royle referred to William Roberts as the 'village photographer' who during the second half of the 19th century had a studio on Dickenson Road. 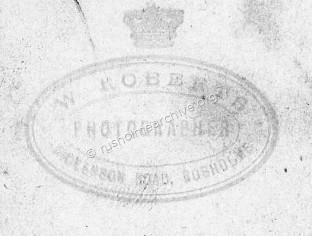 William Roberts certainly was working in Rusholme as a photographer in 1863, the year of his marriage at St James, Birch-in-Rusholme. The church register entry refers to William as a bachelor, photographer, and resident in Dickenson Road. It can only be an informed guess that Sergeant Pye patrolled the streets of Rusholme, but it would seem odd otherwise to have come to Rusholme especially to be photographed. Good news, I have come across an entry in Slater's 1879 Manchester Directory that identifies Sergeant Pye as being at 41 Monmouth Street, (now Claremont Road), which was the address of the Rusholme Police Station. From the number on his collar it has been possible to find the following information. Edward Pye joined the Lancashire police force in 1862 aged 26. Married with two children he had been a carder in a cotton mill at Preston and perhaps his service in the Royal Lancashire Militia helped his appointment. His record certainly showed that 'at his own request' he served in the Manchester Division between 1869 to 1887, and then again ' for the good of the service' from 1887 until his retirement in 1890. His career at times seemed slightly chequered, promoted to Sergeant and then reduced to the ranks, awarded a merit class in April 1879 , but this award being removed in November 1879. However his rank of Sergeant was eventually re-instated together with his first class merit award. 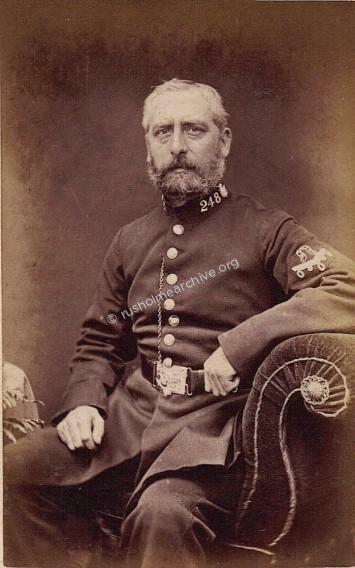 The very full beard and moustache that Sergeant Pye is proudly wearing was quite fashionable amongst the police force at this time. Two consecutive Chief Constables, Robert Bruce, (1868-76) & then Charles Legge, (1877-80) both encouraged their officers to wear the 'full set'. I should like to thank Duncan Broady at the Greater Manchester Police Museum and the staff at the Lancaster County Records Office who have helped me to establish the information about Sergeant Pye. There is a comprehensive history relating to the establishment of the Manchester Borough Police Force, (also in 1839) at the following website. Remember to press your 'back' button to return to this website.